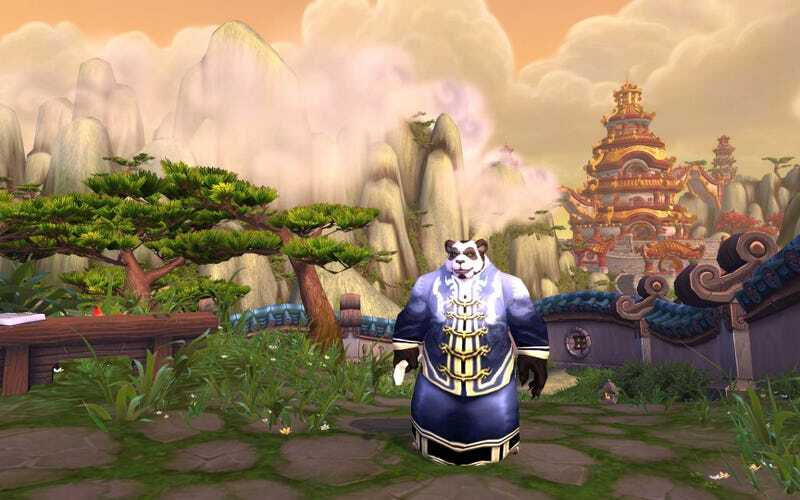 I honestly was not expecting Mists of Pandaria to really be the next expansion pack for World of Warcraft, but here we are, showing off the first official screenshots. Where the female pandas at? I'm guessing the female pandas aren't quite ready for prime time, hence the total panda sausage fest going on in these screenshots. If you look closely you'll see some of the moves the new Monk class will be kicking when the expansion pack sets them fee. What do you folks think? Pandas, yea or nay?